Daimler Trucks North America announced the opening of its newest parts distribution center in Grimes, Iowa, intended to provide faster service to customers located in the Midwest. The latest facility marks the third center DTNA has opened in two years and the ninth in DTNA’s overall supply chain network. 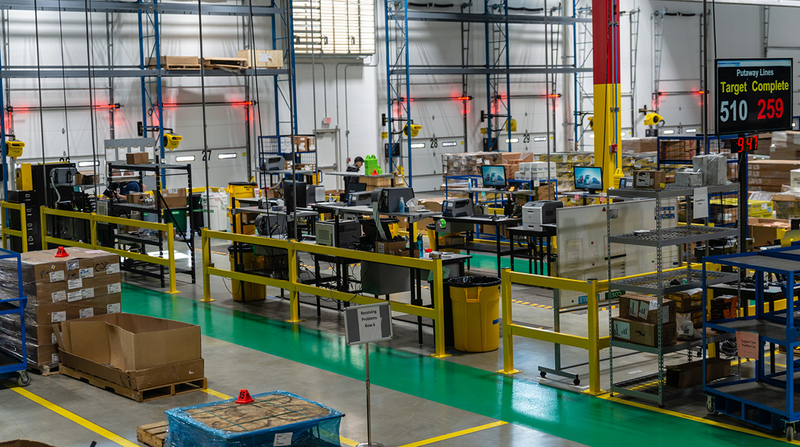 “With the opening of the [parts distribution center] in Iowa, 80% of dealer order volume in the U.S. can be delivered by the next day,” Jay Johnson, general manager of aftermarket supply chain for DTNA, said in a statement. DTNA plans to expand dedicated parts deliveries in 12 hours or less to cover the remaining 20% of its dealer network beginning later this year, Stefan Kurschner, DTNA’s senior vice president, aftermarket, told Transport Topics.